Lily of the valley is a perennial herb that produces white bell-shaped blooms that hang in clusters, containing a super-sweet, exotic fragrance. Aside from their beauty and fragrance, these plants are known for their medicinal properties. Lilies of the valley are rhizomaceous plants that grow thin horizontal, underground roots. These roots form small buds called pips that, over time, produce new plants. This process allows the plants to spread and multiply freely. Lilies of the valley are easy-to-grow perennials that tend to thrive in somewhat shaded areas and when fertilized properly. Obtain an all-purpose, slow release organic fertilizer containing a 5-10-10 or 6-12-12 fertilizer analysis. Plan to fertilize two times each year, after blooming and prior to the winter rest. Using gloves, sprinkle fertilizer over the soil and around lily of the valley plants in late spring or early summer after blooming. Be careful not to apply fertilizer directly on the plant. Use approximately two pounds of fertilizer per 100 square feet. Using a light garden rake, gently scratch the top soil where fertilizer has been cast to "anchor" the fertilizer into the soil. Water the entire area slowly and gently until the ground is thoroughly moistened but not "ponding." A sprinkler attached to a gardening water hose will provide a gentle stream of water. Re-apply fertilizer in late fall by mixing fertilizer with organic compost in a large bucket. Use one part fertilizer (5-10-10 or 6-12-12) and two parts compost. Top dress lily of the valley with the fertilizer-compost mix, which will break down slowly over the next couple of months, improving nutrient value and soil structure for spring growth. 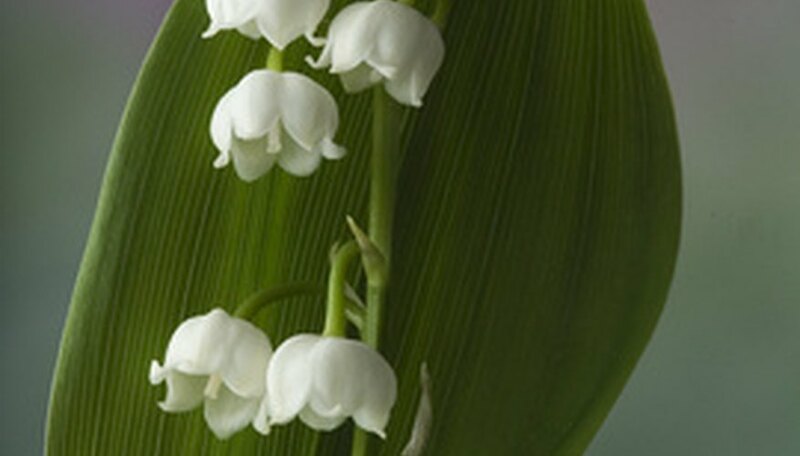 All parts of lily of the valley are toxic when ingested; however, only when eaten in large quantities. Symptoms of intoxication include a slow and irregular pulse, stomach pain and diarrhea.